The January 2008 issue of Microsoft’s TechNet Magazine features a review of Pingdom’s uptime monitoring service. 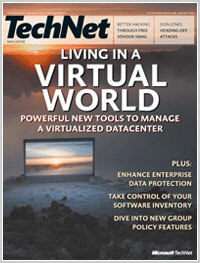 TechNet Magazine is delivered to 100,000 IT professionals. What can we say other than “we agree completely”? The whole idea behind Pingdom is to be proactive. Think of Pingdom’s uptime monitoring service as a kind of insurance. Pingdom.com, an application service provider (ASP), provides a simple-yet-effective automated monitoring service. The ASP’s servers are distributed across multiple global locations, giving you a much better sense of what your users are really experiencing—as opposed to relying on a single-source external service monitor. You can read the entire review over at TechNet Magazine (you will need to scroll down the page a little).